Tungsten Carbide tips ensure long life. Storage case provides a safe place to store the bits when they are not being used. Different cutter shapes which enable the creation of a variety of profiles, grooves and mouldings in softwoods, hardwoods, MDF or plywood. 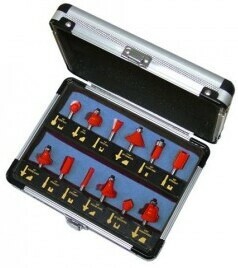 Boxed set of 12 Router Bits.